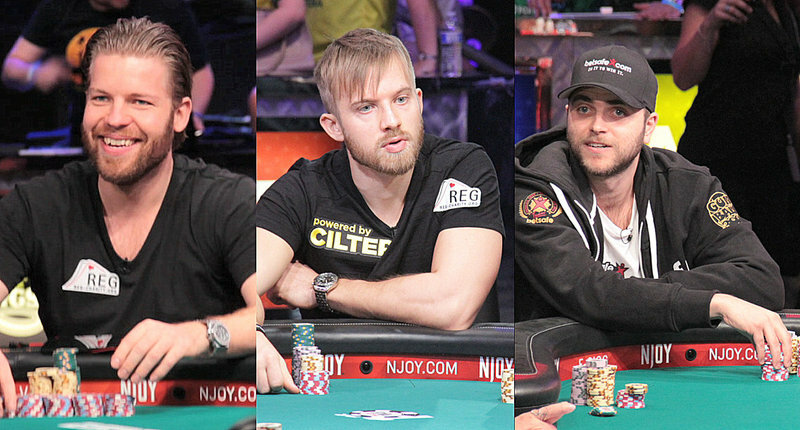 After 244 hands spanning 12 hours of play, the 2014 World Series of Poker is now down to the final three competitors. Leading the way is Dutch pro Jorryt Van Hoof, who steamrolled his opponents for most of the night en route to amassing a stack of 89,625,000. He’ll be joined by Sweden’s Martin Jacobson with 64,750,000 and Norway’s Felix Stephensen, who will begin the final day with 46,100,000. All three players are now guaranteed at least $3,807,753. The runner-up will take home $5,147,911 and the winner will bank $10,000,000. The tournament will resume at 5:30 p.m. PT in Las Vegas and will continue to be aired on ESPN. For more details on how the rest of the final table participants were eliminated, check out the links below.